Every product we sell is on display in our showroom, what better way to make a buying decision than being able to see, touch & even smell the items you are interested in. Friendly staff with excellent product knowledge are on hand to assist, should you require any help. Forget the tedium of hand writing your order (we broke all the pens and hid the paper), here at Rayburn we use the very latest in technology to ensure your ordering is fast and accurate. Palm sized laser scanning fobs are used to capture the barcode on any item you wish to order, when you finish scanning the data is sent to a screen where you can add or remove products before committing – you can easily see the total cost of your order and any out of stocks. At Rayburn we sometimes forget to go home, our showroom is open 5 days a week and we take orders on our website anytime night or day. We can also come to you, our team of Reps cover the UK to bring the Rayburn service right to your doorstep. Whether you are a New, Existing or Soon to be Customer we would love to see you. Founded in 1948, Rayburn Trading Ltd is Manchester’s best kept secret. A 90,000sq foot warehouse with state of the art voice-pick & a fleet of vehicles ready to delivery your order, hidden behind Manchester Fort Shopping Centre in Cheetham Hill. Through three generations of Goldman’s the business has thrived, offering the widest variety of products in its sector - over 4,500 including household items, toiletries, confectionery, cosmetics and stationery. We are proud of our diverse customer base including major multiples, pharmacies, discounters, convenience stores, garden centres and are actively seeking new customers from all over the world.  Although our roots are in Manchester we have a global reach, sending our products to all corners of the globe – our commitment to worldwide sales was recognised when we were honoured to receive The Queens Award for Enterprise in International Trade.